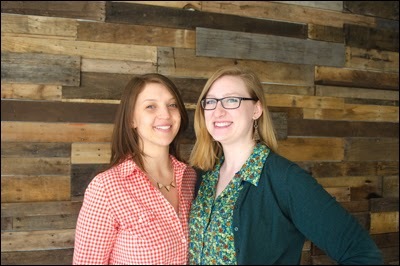 It was their typographically-inspired jewelry—such as Caslon and Bodoni—that steered me to Hannah Rebernick (right) and Cara Narkun (left) who co-founded Zealous Bee, a showcase of their handmade wood and acrylic jewelry. I had the opportunity to meet them at the 29th gathering of the Chicago chapter of CreativeMornings. Here, they share their thoughts on realizing their style of jewelry and making it, together. at the idea of actually making your concepts of jewelry for sale? 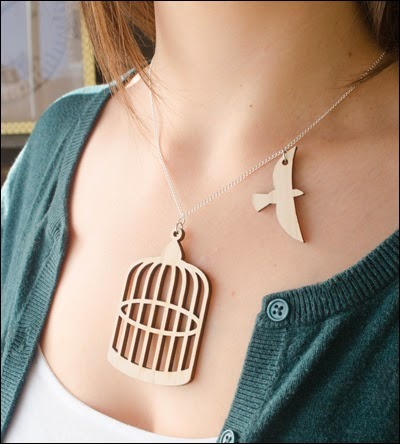 We both work/ed for a nonprofit communication design studio, Creative Go-Round, that had a laser-cutter on premises. Since we had access to the equipment, we thought it could be both fun and stimulating to work together and develop something new. We both like jewelry, and designing the pieces happens to fall into both of our skill sets. Jewelry is a very popular product in boutiques and on Etsy, so we figured we could attempt to sell items we were making. Two heads—and hearts—are better than one. How did each of you connect with another? And what made—and still makes—your working together work? As mentioned, we both worked for Creative Go-Round. Cara is currently still the associate director and lead copywriter. Hannah was an emerging designer, working as an intern. After meeting, we quickly became friends and realized our experiences and knowledge were extremely complementary. Hannah is a graphic designer and is excellent at ideating and generating ideas, and designs digitally. Cara is a writer, with business experience. This combination of skills was perfect to start a small jewelry business. Thus, Zealous Bee was born. on getting Zealous Bee real? Our first step in creating our brand was deciding what materials we wanted to use and what kind of items we wanted to make. These decisions would impact how we created our identity and how the process would go. We did a lot of research on successful Etsy shops, as well as other brands we could relate to, and worked to develop our own individual style from there. When did Zealous Bee officially launch and became available? What were essential activities/steps taken to start and establish Zealous Bee? And why were these important? Zealous Bee officially launched and became available in January of 2014. Initially, we created sketches that Hannah generated into digital renditions. After the first few pieces were laser-cut, we assembled and photographed them. 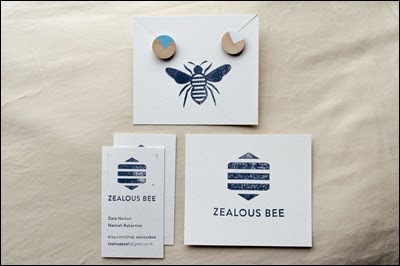 During this time, we worked together to develop Zealous Bee’s identity. Hannah developed a logo, after we decided on the name. We are both experienced with developing brands, Hannah visually, and Cara verbally. Once we had a good sense of our brand’s identity, we built an Etsy shop, created our first listings, and started promoting the business on social media. Can you give a tour of how an idea, for jewelry, gets real? 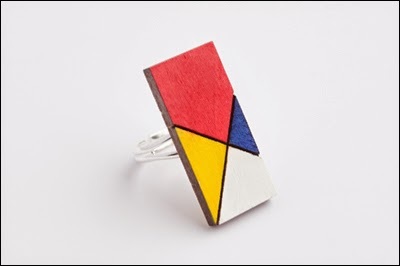 What were steps, tools, to materialize the De Stijl-inspired ring? As a couple of ladies in our mid-twenties, we are fascinated by trends that come and go within our city. We’re always watching for the next big thing, and figuring out ways to incorporate trends while still creating unique products. For example, color blocking has been a huge trend here in Chicago, as well as all over the country. We took that concept and fused it with Hannah’s extensive knowledge of Art History to create our De Stijl-inspired ring (below). Once we have a solid idea in place, we sketch out the design, generate computer renderings, and create the actual, physical product. We spend a lot of time pulling inspiration from our experiences and environment, and ideating together, before we get to the point of crafting the physical jewelry pieces. What is your cycle for launching jewelry designs? First, we ideate, sketch and generate digital renderings. Next, we cut, assemble and photograph. Finally, we create new listings in our shop and promote the products on all social media platforms (Facebook, Twitter, Instagram, Tumblr, etc.). We don’t have a strict schedule for our production and postings. Cara is very good about consistently updating our social-media feeds to help stay on people’s minds, but our cycle for launching new designs or listings isn’t as regularly paced. Working on Zealous Bee often works into our schedules at different days or times. We definitely wouldn’t be against developing a more regimented cycle as we grow, but right now, we make it work for us and fit the work in whenever we can. Who is responsible for what in your partnership? Hannah and Cara both brainstorm and generate new ideas for designs. Hannah creates digital renditions, assembles and photographs the finished items. Cara is responsible for cutting the pieces on the laser, preparing items for assembly (sanding, cleaning, etc. ), and shipping the items. Cara also maintains all social-media activity, and monitors the business and financial aspects of the business. That said, we never mind stepping in for one another, if need be. It’s a very balanced partnership that utilizes both of our individual skill sets well. What are the advantages of using Etsy? Were there other product marketplaces or eCommerce platforms that you looked into? We were both familiar with Etsy, so we didn’t see a need to explore other marketplaces. Etsy is very well-organized and easy-to-use, which makes the business side of our business very manageable. We are always looking for ways to expand Zealous Bee, and could be moving to some additional, online marketplaces soon. Who and/or what keep(s) you going in sustaining Zealous Bee? We sustain Zealous Bee for ourselves and each other, as we both appreciate the creative outlet outside of our other 9–5 jobs. We enjoy working together and creating objects that people respond to in a positive way. Knowing that people have good interactions with a project that we are both passionate about is really rewarding. We are always observing the world and people around us. We watch our city and the ever-changing trends that occur. In addition, we like to follow other entrepreneurs in our communities, both online and in real life. For example, Hannah’s parents started their own business over ten years ago. Watching them go through that process and build a successful, sustainable business was a big inspiration in this, and any other, self-initiated project. How would you describe the work culture at Zealous Bee? Our work culture is very laid back and open. We have developed trust for one another, which lends well to excellent communication and understanding. We are passionate about what we do, and we’ve worked hard to get where we are. We are excited about the opportunities that lie ahead, and want to continue working towards even bigger and better things. Considering that we are both busy with full-time jobs, our flexibility with each other is important. What is your vision of growth, as it relates to business? 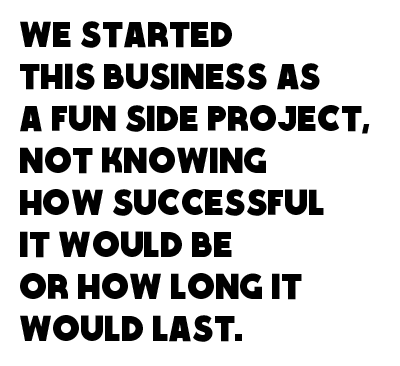 We started this business as a fun side project, not knowing how successful it would be or how long it would last. Fortunately, the business is doing better than we ever could expect, in such a short amount of time. We hope that our clientele continues to grow, and that we are able to open a jewelry boutique of our own one day. We will be happy to work on Zealous Bee as long as it is rewarding for both of us, and we continue to be excited by new aspects of it all the time. Many independent makers, particularly with regards to jewelry, exhibited at the “One of a Kind Show” 2013 (see my photos). This is only one showcase. How do you cope with the competition in handmade-jewelry products? Going into this venture, we knew that there were a gazillion other jewelry producers trying to make it just like we were. Our goal is, and always has been, to create original items that stand out from other handmade-jewelry products. We want to penetrate a saturated market with items that you can’t find at other places. We also take a lot of pride in the craftsmanship of our work—we never want to produce generic items that are exactly like someone else’s. We strive to create original pieces that are created with a personal touch and attention. How do you get the word out about Zealous Bee? How do you attract customers? What approaches were effective? Social media is a magical thing. As soon as we opened our shop, we created a Zealous Bee Facebook page. We updated it frequently, and invited all of our friends to “like” the page. We both shared Zealous Bee’s Facebook activity on our personal profiles. Witty copy and high-quality photography definitely helped to engage our audience. Along with social media, we’ve created handmade stamped business cards that we hand out when discussing our business face-to-face. Wearing our own jewelry almost constantly helps to get the word out either. When and how did you arrive at the company’s name? Naming the business was an interesting process. We knew we wanted a name that reflected us and what we both put into this new venture. We both like bees, and quickly decided that we might like the word “bee” to be included in the name. We then started discussing adjectives that might exemplify how we felt about the shop. After several days of discussion, we both agreed that Zealous Bee had a nice sound, and fit into the work that we did and how we felt about it. The energy and activity, suggested by our name, fit both of our spirits. Communication is most definitely the key to our success. Neither of us are afraid to bring up concerns or ideas with the other. We do have disagreements, but have respect for one another that allows us to hear each other out and have a civilized discussion, until we reach an agreement. We both have enough respect for one another to not let minor things (like broken ampersands or uneven staining) get in the way of our business or process. We love this work, and up to this point, we haven’t really felt that any part has been trying. That’s not to say that it won’t happen, but at this point, we are extremely pleased at how this adventure is going. We work in a variety of places, from both of our homes and offices. This allows us to fit Zealous Bee into our schedules. Eventually, it would be wonderful to have a dedicated workspace just for the shop. We use Google Apps for file sharing and GoDaddy Bookkeeping for tracking expenses and revenue. of your sources of motivation/inspiration? We both work in creative environments in our 9-to-5 jobs, so we can pull inspiration from anything in our everyday lives. We both work to keep up on trends in culture, design and fashion, so we tend to look into these areas a lot. Seasonal changes affect our work, because we want to keep current and relevant to people and their everyday lives. It’s incredibly important. We are both self-assured people who have a good understanding of our passions and interests. 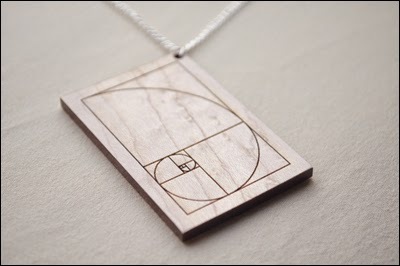 We try to keep the shop true to our personalities—that’s why items in our shop range from geeky, math-themed jewelry to abstract geometric designs. Taste is subjective, but “bad design” doesn’t serve a purpose. Balancing personal style and taste with jewelry, while still trying to make it purposeful, can be a challenge, but we strive to keep our designs well-reasoned and true to ourselves, and to our customers. If a person approached you and said, “I want to make my style of jewelry and get it out there”, what’s your response? Go for it! We would encourage them to make sure that they are creating unique objects, while staying true to themselves. Take advantage of all the great resources and inspiration that’s out there for starting and building your own shop. Just working hard. We both spend a lot of energy and free time working on Zealous Bee—waking up early to photograph in morning light, or working after our day jobs to complete a shipment on time. As long as you’re passionate about the work and willing to work hard, we feel that these qualities are key. How does the city of Chicago contribute to your work? And what makes Chicago special for startups/business/creativity-at-large? Chicago is such a nurturing creative community, by being a part of that community you feel encouraged to pursue independent projects. The midwestern, hardworking spirit also keeps us focused on our craft. All photographs courtesy of Hannah Rebernick and Cara Narkun of Zealous Bee. Quotations typeset in Essay designed by Jose A. Garrido, Spain, for Avondale Type Co., Chicago.